La faune d'Afrique en une application. Discover the beauty and natural wildlife of the African continent. 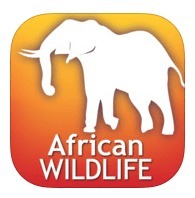 Created in affiliation with the National Audubon Society, the app contains in-depth species information for 164 mammals, 284 birds and 24 reptiles along with beautiful high-quality photographs and range maps. Includes a reference section on where to see wildlife, conservation status and habitat details.